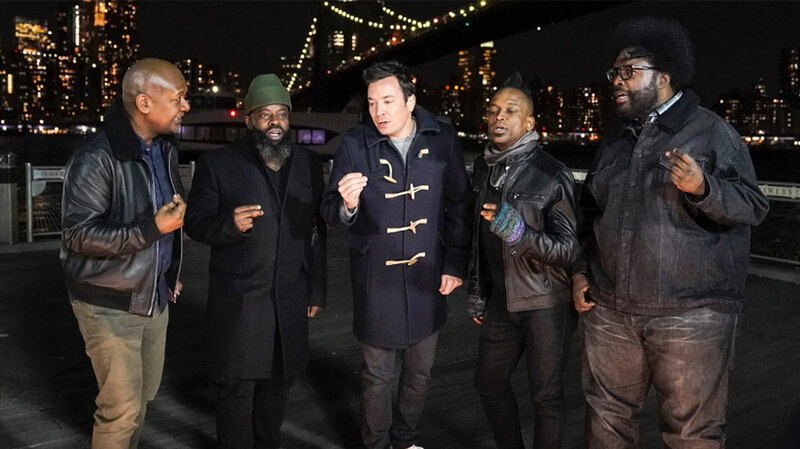 Fallon and The Roots sing doo-wop at Brooklyn Bridge Park on the show. Monday night’s episode of The Tonight Show Starring Jimmy Fallon on NBC is distinctive for two reasons: It takes place outside of the studio and throughout New York, and it is being shot in its entirety with Samsung’s new Galaxy S10+ smartphone. The show will open not with a traditional monologue, but with Fallon explaining how the device’s camera features, including its ultrawide lens, made it possible to capture the entire episode in various locations around the Big Apple. Be sure to tune in on Monday March 25th for an entire show captured #withGalaxy S10+ in partnership with @SamsungMobileUS! Jimmy’s filming all over the city and might just go to a bar with @TheNotoriousMMA ???? This isn’t The Tonight Show’s first dalliance with deep branded integration. Last summer, for example, Fallon taped live from Central Park with a sponsorship boost from T-Mobile, which offered certain perks to the mobile carrier’s subscribers. This season, Fallon’s longtime lead over CBS’ The Late Show With Stephen Colbert in the all-important 18-49 demo has evaporated. The two shows are tied with a 0.53 rating this season. Colbert continues to be on top in total viewers by a wide margin: 3.8 million to Fallon’s 2.48 million. 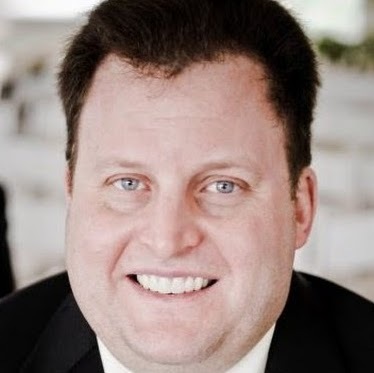 Samsung did not immediately respond to a request for comment, but Samsung Mobile head of marketing Patricio Paucar told Variety the arrangement with NBCUniversal also includes Galaxy S10 integrations with NBC’s Today, Bravo’s Watch What Happens Live With Andy Cohen, E!’s The Rundown and Telemundo’s La Voz. Paucar said showcasing a product within a TV show was a way to cut through the noise and clutter, and the consumer-electronics giant is working on a similar initiative with ABC. The timing also lets Samsung steal back some thunder from Apple, which held a special event Monday to provide details on its Apple TV+ streaming service, News+ magazine and newspaper subscription offering, upcoming Arcade gaming platform, and Apple Card credit card. NBCUniversal was not available for comment, but Mark Marshall, the media company’s president of ad sales and client partnerships, told Variety he expects these types of partnerships to occur more frequently. During Fallon’s escape from the studio, he will dine at iconic Harlem Italian restaurant Rao’s with announcer Steve Higgins and The Roots’ Questlove and Black Thought. Fallon will also deliver meatballs to a New York City Fire Department firehouse to show his gratitude for the firefighters’ difficult and dangerous work. And he and The Roots will take in a performance at downtown jazz club The Django. Mixed martial artist superstar Conor McGregor will join Fallon at an Irish pub to chat and sing Irish folk songs. Fallon will also interview Saturday Night’s Live’s Michael Che at the Comedy Cellar in the West Village, and actress and comedian Rachel Feinstein will perform her stand-up set. The show will close with Fallon and The Roots singing doo-wop at Brooklyn Bridge Park.